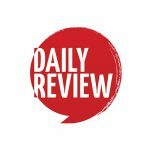 Meet the new breed: Australia's hot young choreographers | Daily Review: Film, stage and music reviews, interviews and more. Sydney Dance Company and CarriageWorks have joined together to give the next generation of contemporary choreographers a platform to have their work produced and seen in New Breed. Five emerging choreographers have been working with the Sydney Dance Company ensemble over the last several months to create their own works, which will be performed by the ensemble this November in the first of three annual New Breed events, supported by the Balnaves Foundation. The quintet is made up of independent choreographers Lee Serle and Gabrielle Nankivell, as well as Sydney Dance Company dancers Cass Mortimer Eipper, Charmene Yap and Juliette Barton. Barton joined Sydney Dance Company in 2009 while Yap joined in 2010, but both are making their choreographic debuts as part of New Breed. We asked the choreographers a few questions about their life in dance so you can get to know them a little bit better. Dance background: Bachelor of Dance at the Victorian College of the Arts. Career highlight so far: Being selected as Trisha Brown’s protege for the Rolex Mentor and Protege Arts Initiative, and presenting my first major dance work in the New York Public Library at the conclusion of this mentorship. How would you describe your choreographic style? I create work in varied contexts and forms. Dances for the stage, site-specific work, gallery based work, interactive performance. I like to mix it up. What’s your dream dance project? To sustain a career as a dancer and a choreographer is the dream. As long as I can continue doing that, I’m happy. What can audiences expect from your piece in New Breed? My piece ‘White Elephant’ is inspired by the work of Australian artist Stephen Bush. The idea was to create what can be viewed as a series of moving paintings. What do you love most about dance? Communicating an idea or feeling to an audience through the moving body without the need for narrative. I love ambiguity in dance. Age: 151 dog years, give or take, depending on my breed! Dance background: Over 15 years as a performer I’ve worked for an eclectic selection of artists and companies in both Europe and Australia. Evolving slowly alongside, my choreographic practice has been subtly influenced by all these experiences. When I was 19 I received a Marten Bequest Travelling Scholarship which allowed me to fling myself into the wild world of European dance. Working my way through a random collection of contracts in Germany, Belgium, Denmark, Portugal and Slovenia, I performed ballets, contemporary dance, physical theatre works and improvisational scores. Belgian artists Alexander Baervoets and Ultima Vez/Wim Vandekeybus are significant early influences while in later years collaborative work with The Farm (Australia) has been inspiring. On the choreographic side, collective ventures with Jurij Konjar (Slovenia), Raul Maia (Portugal) and Thomas Steyeart (Belgium) coupled with a long standing solo practice continue to shape my current fascination with dance. Career highlight so far: The privilege of being able to create performances that contribute to a collective cultural consciousness in collaboration with artists who inspire me is a permanent highlight. Making my solo show “I left my shoes on warm concrete and stood in the rain” with creative collaborator Luke Smiles (sound) and touring it around Australia was also pretty special. How would you describe your choreographic style? Bespoke, detailed, evocative and sometimes a little wild. Which choreographer do you admire most? This is an impossible question! I admire many choreographers, for many different reasons. I’m also very inspired by the choreographic sensibility of film and therefore the idea of the director’s eye as choreographer … In live performance and over time, Meg Stuart, Thomas Hauert and theatre director Tim Etchells (Forced Entertainment) continue to stand out. What’s your dream dance project? Anything that involves great people and supports attention to detail — or alternatively, making a solo for/with Christopher Walken! What can audiences expect from your piece in New Breed? Cinematic in both visual aesthetic and sound, “Wildebeest” is an eerie little story built from the dancers’ curiosity for physicality – their wildebeests within. It’s a small tribute to imagination and to the virtuosity of this particular pack of performers — their power as individuals and strength en masse. What do you love most about dance? Its potential to energise people and their imaginations, which happens by both doing and watching. Dance background: Heidelberg and District Ballet School, Australian Ballet School, West Australian Ballet, independent artist/co-director of dance/media company Ludwig. Career highlight so far: Winning the Best Performance award for my Solo “Solo 1.5” at the Rome International Choreographic Competition. How would you describe your choreographic style? My work is often quirky, comic and somewhat theatrical. I want each cast member to have a character unique to him or her. Which choreographer do you admire most? Way too difficult a question! What’s your dream dance project? Don’t want to tell, so that no one takes the idea. What can audiences expect from your piece in New Breed? Some food for thought and a bit of fun. What do you love most about dance? The sense of freedom it can enable. Dance background: I started dancing at seven doing ballet, modern and jazz. In 2004, I moved to Perth to complete my Bachelor of Arts in Dance, which included a semester abroad in New York. After graduating I worked for companies Chunky Move, Dancenorth, Tasdance, Lucy Guerin Inc. and with various independent choreographers. In 2010, I joined Sydney Dance Company working with artistic director Rafael Bonachela. Career highlight so far: The honour of receiving a Helpmann award. How would you describe your choreographic style? It has been many years since I have been on the other side of the studio, trading the role of a dancer to become choreographer. So in a way the New Breed process was like a blank canvas, allowing me to rediscover what I’m interested in. I found that my style lies in free, all-encompassing movement that is precise at the same time fluid. I aimed to create a work that has this physicality, translates theatrically and is ultimately entertaining. Which choreographer do you admire most? I don’t have one particular choreographer in mind, I think anyone who has the creativity and courage to make work is admirable. What’s your dream dance project? I’ll get this work up before I dream of the next one! What can audiences expect from your piece in New Breed? A short, playful work, which is energetic and hopefully entertaining. What do you love most about dance? I love that dance can be a combination of elite athleticism and ephemeral artistry. Dance background: I began with Calisthenics as an eight year old. I studied at the Graduate College of dance, WAAPA, Purchase College in N.Y and LINK Dance Company, obtaining a Bachelor of Arts in dance. I danced in London for a few years with various choreographers including Russell Maliphant. I joined Sydney dance Company in 2009, and since then have worked with many choreographers including Rafael Bonachela. Career highlight so far: There have been so many along the way but I really love it when I really connect with a philosophy or concept and advance as an artist. How would you describe your choreographic style? This is my first choreographic commission so I’d say I’m still discovering that. The piece I’m making for New Breed is a solo, so it’s personal, exploratory and very alive for me right now. Which choreographer do you admire most? Ohad Naharin, Yasmeen Godder and Stephanie Lake. What’s your dream dance project? Currently my head is very much in the work for New Breed. Maybe after that there will be some headspace for what’s next. What can audiences expect from your piece in New Breed? A solo; and an invitation to come with me. What do you love most about dancing? I really enjoy progress and development and working creatively with my body. I also love working with extremely interesting and talented people across all art forms, and then being able to share that with an audience. New Breed is at Carriageworks, Sydney from 5 to 8 November.